Based just a stone's throw from our head office, PASIG brings together leaders in the field of digital preservation and archiving, to discuss the latest industry advancements and techniques. Attendees will be able to benefit from cutting-edge insights into preservation and archiving best practice, including real-life case studies from institutions such as The British Library, The National Archives, and the University of Edinburgh. ResourceSpace's very own Stuart Bithell will be co-hosting a session with Bill Thompson from the BBC's archive development team and the UK Data Archive's Katherine McNeill, looking at the use and re-use of preserved content. Make sure you catch their talk on Tuesday, 12th September at 9:15am. PASIG 2017 is also an opportunity to learn about the latest tools, systems and services for document archiving and preservation. ResourceSpace will be showcasing our industry-leading Digital Asset Management (DAM) software, which is already helping organisations such as St John's College, Oxford and The Library of Congress to improve the way they store, catalogue and share irreplaceable documentation. The three-day conference will take place at the stunning Oxford University Museum of Natural History, and tickets are still available. Click here to find out more. 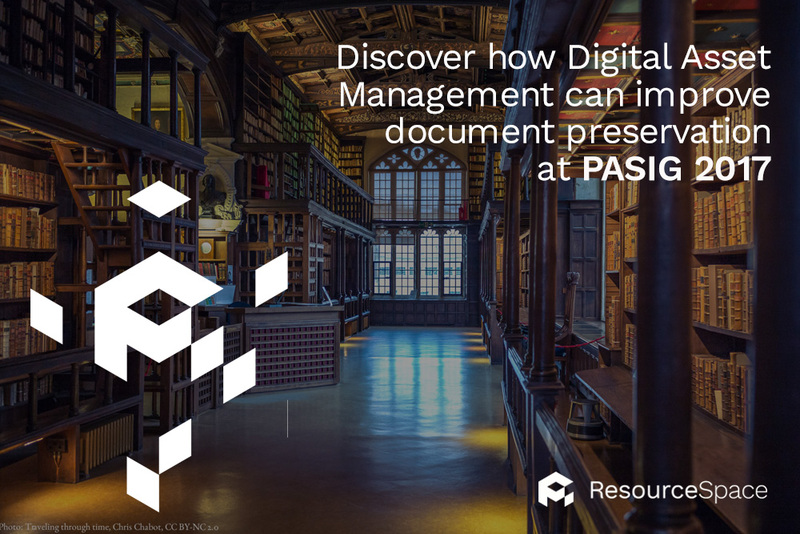 If you're coming along to PASIG this September, we'd love to show you how our DAM software platform can improve digital file preservation and archiving across your organisation. Get in touch to pre-book a demonstration with one of our digital software experts, or make sure you come and see us during the conference.